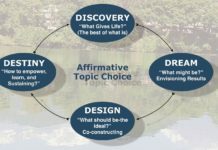 Appreciative Inquiry Approach is an inspirational management approach, which considers that thinking capacity of individual determines the quality of the performance they want in their personal, professional and organizational life. The organization is the collection of individuals, structured and directed by the written and unwritten rules, regulations and laws. The physical setup of any organization visualizes the structure and direction and actions of human resource determine the quality of services, result and brand of the organization. The attractive and well-equipped physical setups with intellectually and emotionally sound human resources are the best combination of the organizational excellency. Organization is a living system that performs on the basis of the interest and thinking capacities of the human sources working in that organization. Lumbini Medical College Teaching Hospital is known as one of the best medication educational organizations of the country. 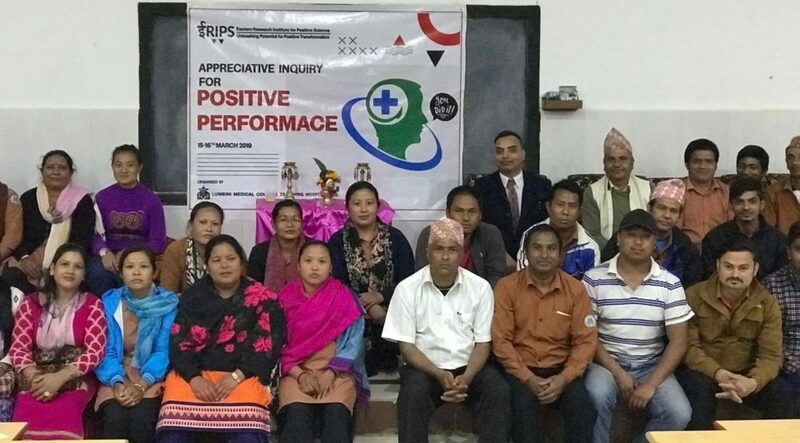 However, to create the outstanding contributing interest of the whole staff members working in Lumbini Medical College Teaching Hospital, a two days training on “Appreciative Inquiry for Positive Performance” in collaboration with the Eastern Research Institute of Positive Science (ERIPS) was conducted in Tansen Palpa on 15-16th March 2019. 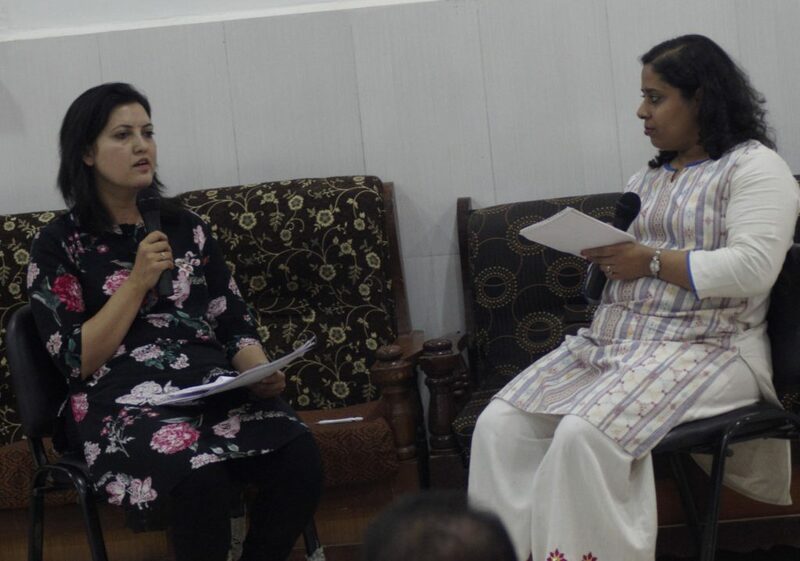 Apart from the formal program, there were many side learning events for the staff members as well. 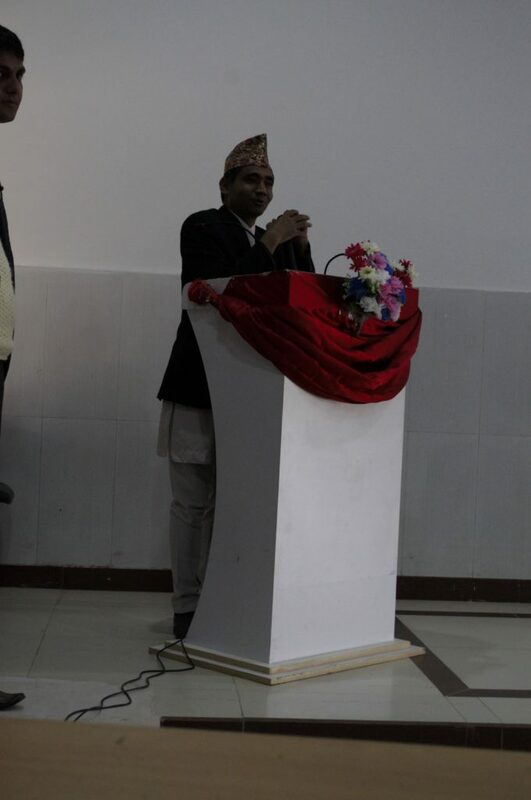 The formal program was started at 10 AM in the lecture hall no. 5. 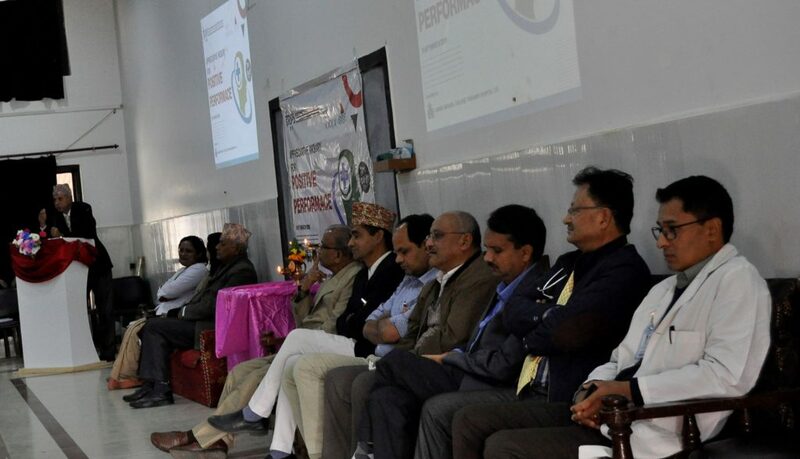 The Program was inaugurated by the medical college president Mr. Gopal Bahadur Pokharel and the Program under the chairmanship of Prof. Dr. Singh, the academic chair of the college. 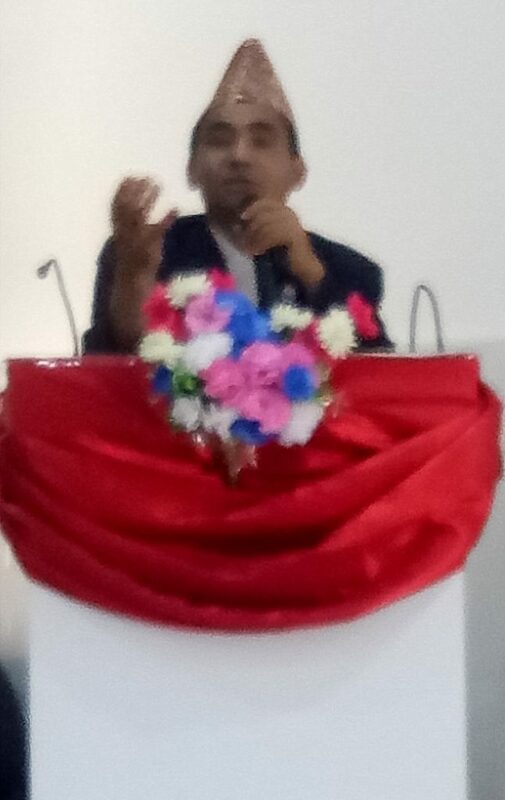 Prof. Dr. Chet Raj Pant, the chief academic advisor expressed the hope, expectation and objectives behind the organization of the program. 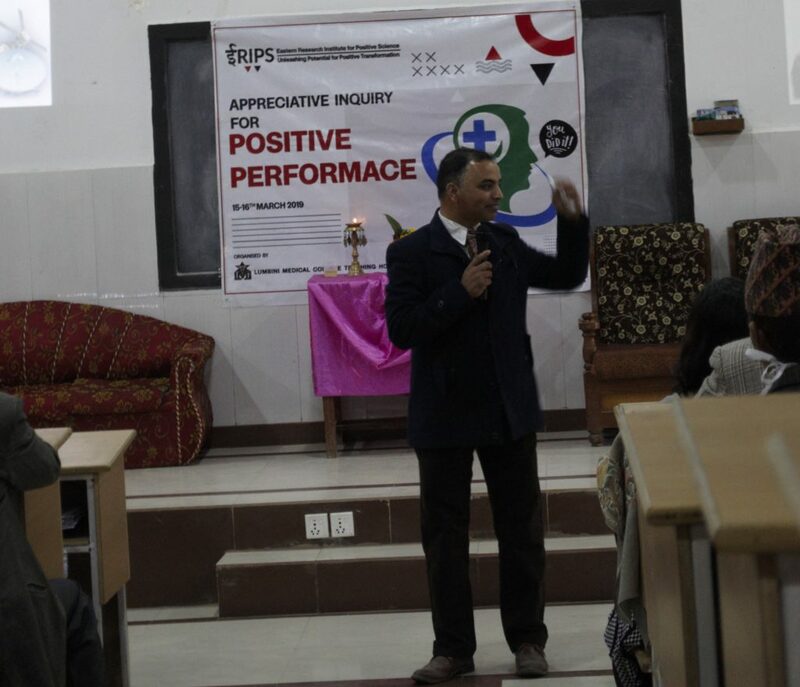 Dr. Rajiv Duwedi, the principal of the college highlighted on the importance of the Appreciative Inquiry in the context of college and teaching hospital. 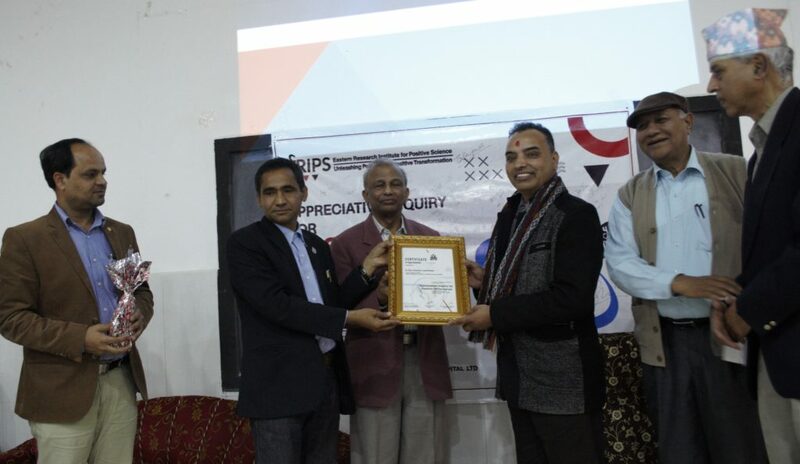 After formal inauguration of the program, the hall was handed over to the facilitator Dr. Ram Chandra Lamichhane, the chief executive officer of Eastern Research Institute of Positive Science (ERIPS) for further process of Appreciative Inquiry training. 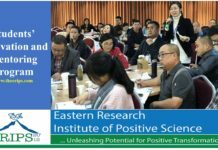 Appreciative Inquiry believes that there is something to value in every system if the system is working in spite of the trouble in the situation. If anyone can identify the positive cores of the situation, they can extract the real meaning of the situation. On contrary, failing to identify the positive cores and discover the root causes of failure will create complications in understanding the problem. Meaningful identification of the situation determines the steps required to take for further action and in order to gain the ultimate result from the performance of individual and organization. Finding out the right meaning of the situation will lay the foundation of the right action. A brainstorming session was carried out to make the real meaning of the situation. 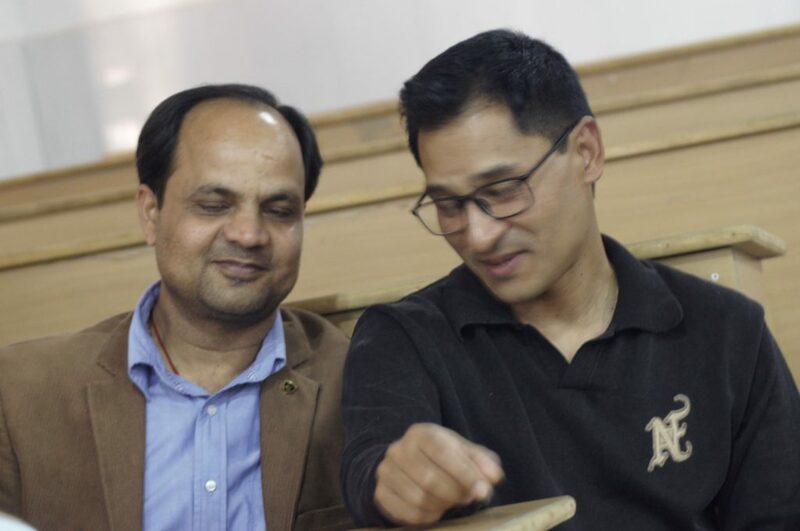 During the meeting with the president Mr. Gopal Bahdur Khadka, he shared various aspects of the college and showed his interest to be the best medical college of the country. 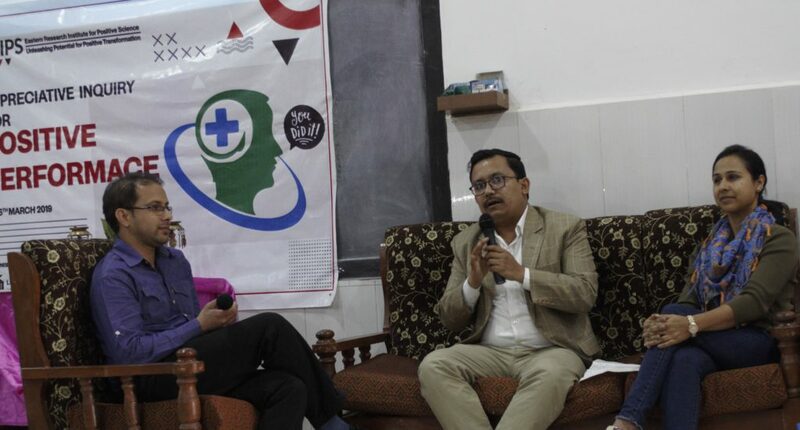 In that meeting we discussed about the possible roles of the human source to transform the medical college into the best one and finalize the topic “Appreciative Inquiry for Positive Performance”. During the planning meeting, we assumed that positive performance of each and individual staff members will lead toward creative and innovative result of their task. The collective positive efforts of the staff members will transfer the college as one of the best medical college. “Failure is the pillar of the success”. This is well known metaphor in Nepal and in every organization. Due to this, organization and individual pay attention toward failure and weakness of the past and large efforts given to identify organization and individual failure, weakness and faults. Knowing or unknowingly, this approach blames to someone as responsible for being failure and made the person more protective. This compel him to find out someone who did not helped him to accomplish the task and each one will be busy to find out the fault of the other and all are labelled as faulter and the organization remains unsuccessful. 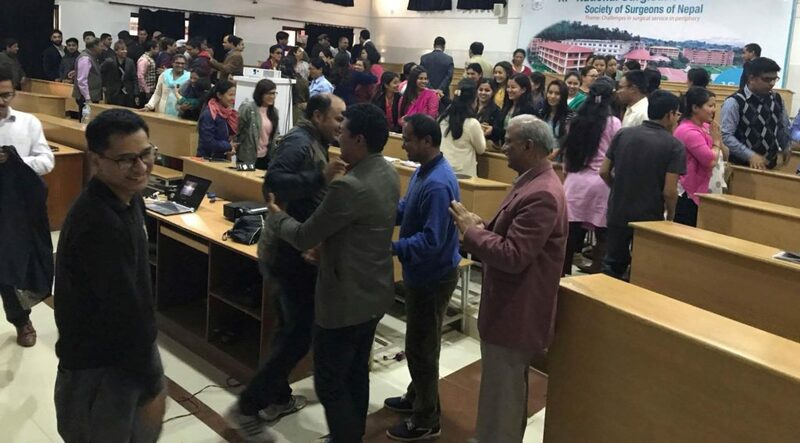 In this situation, if the human sources of the college can change their thinking paradigm and try to find out the root causes of the success or positive core of success, no matter how big or small the success is, will empower him to recognize and appreciate the other person who helped him to accomplish the work. In this way, whole members will connect with each other and regard them as successful person and identity of the organization will be converted as the successful organization and staff commitment for success will increase. To search the positive cores of the organization, entire human sources need to change their perception from what is missing to what is working. To develop such perception, one need to change their thinking paradigm. The staff of the LMC needs to change thinking paradigm to discover the positive cores and strengths of the human sources and college. The world is being changed in the speed of imagination. The rapid changing trend has increasing the uncertainty of the living system and organizational scope. Today is completely changed than last 15 years and next 15 years is going to be drastically changed then today. 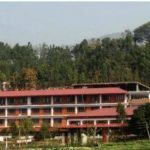 The imagination of Medical College in Tansen before 15 years used to be a mere dream but the college is in established position and this could be one of the best medical colleges by next 15 years. Because of the properly unleashed human potential, the world is divided into 3 categories based on development. First, second and third world. Nepal is belonging to the third world country. The difference between the third world to first world is the application of human knowledge and skill to utilize the resources rather than money. According to Peter Drucker, “Knowledge is the economy come to those who knows their strengths”. Nepal can be transformed as developed country if we can unleash the potential and expand our strengths in very short span of time. 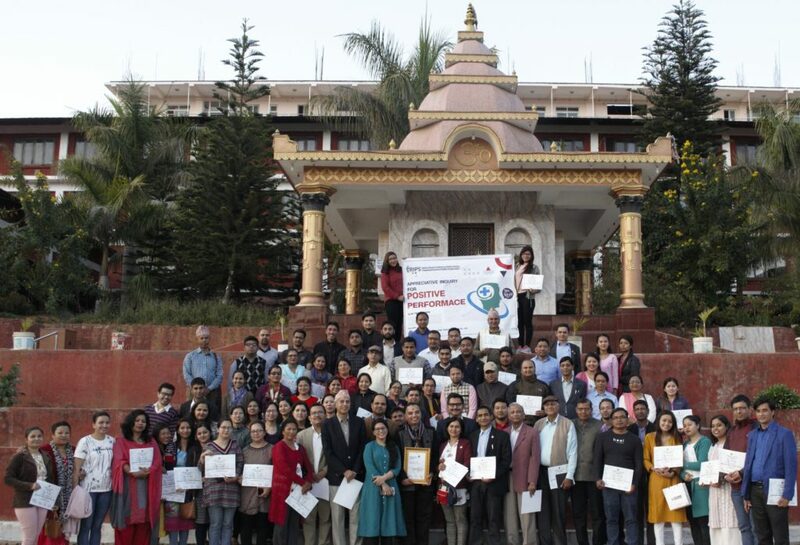 Any innovation in Nepal can have impacts all over the world and our innovation can impact the whole world. 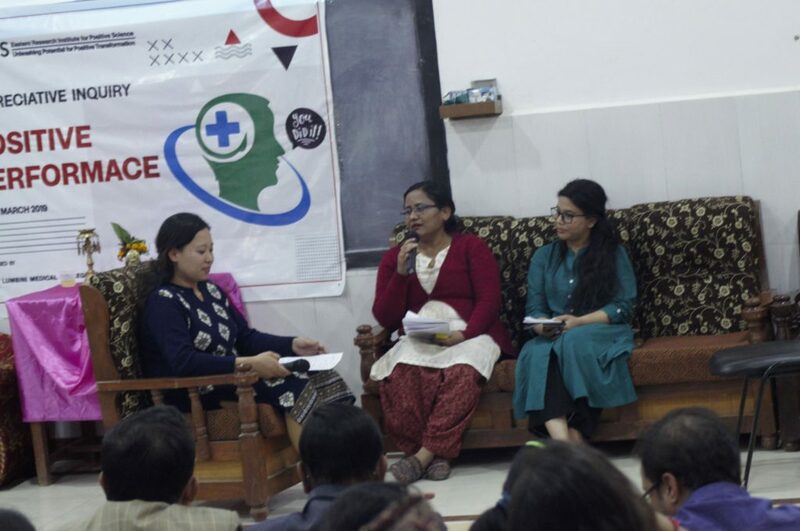 The human mind is the sources of any changes and Lumbini Medical College can lead for innovation as many scholars are working as full-time employees in this college. If their positive potential unleashed and utilized, the college can lead for the changes and innovation and such innovation can spread all over the world and college can earn the great fame all over the country or globe. The college has various things to be valued. The strengths and positive cores of human source and institutional strengths and learnings are the great assets. The well-educated, qualified, committed and professional team of human source has accomplished various outstanding works in the medical college. The employees of the colleges are punctual, dedicated, honest and committed. They are very much curious to learn the new knowledge and bear the accountability and responsibility. Around 400 full time staff members from the various academic and social background have made the college as confluence of diverse knowledge and wisdom. Because of emotional care and empathetic feelings of the staff the patient’s satisfactions found high and treatment is trust worthy. The experiences and dedicated faculty members have been providing the excellent academic services to the students in Nursing, Bachelor and master’s level. The inter and intra departments have the harmonic relationship and the coordinated efforts have been producing the quality services. The main causes of the success of the employee and organizations were the application of the learned knowledge, team work, professionalism and devotion towards the work and clear-cut strategy of the organization. The clear vision, goal and objectives of the organization lead towards the organizational growth. Now, time has come to redesign the organizational strategy and vision of the organization. 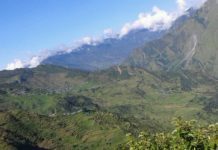 Since, Tansen Prabas was the barren land before 14 years but now it is decorated by the beautiful and well-equipped hospital. The hospital has 600 beds capacity with the facilities of CT scan, Fluoroscopy, Laparoscopy and minimal invasive surgery, Uretero-renoscopy and ICPL, highly equipped operation theaters, sub-specialty services and counselling centers. This hospital has been providing the health service to the patients and education opportunities for the students of the country. This hospital has been carrying out the research activities on various diseases, treatment system and health policies. It has been providing scholarship to the needy students and supporting to implement the government health plan and policies. It has been also providing services to the local communities as part of corporate social responsibilities. The hospital is highly potential to be the best hospital by providing the extra ordinary treatments, research and patient care. It can develop the new medicine, treatment system, health policies in near future. The discovery process engaged people to search the best in them, medical college, departments and services. The interview process of the discovery has created happiness, joy and pleasant and deeply connected with each other. This process also created causes to show respect to each other as well learning from the successful experiences. 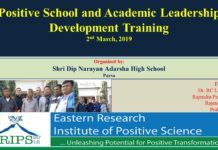 First time, this process allowed opportunity to review the strengths and value them as reflected by Dr. Rajiv Dubedi the principal of the college. Teamwork: Pursuing and valuing the collaborative efforts to flourish the quality of education, health services, research and extension. Innovation: Promote the knowledge-based culture and empower to cultivate new ideas and innovation in academics and treatment process. Community Focused: Connecting communities through the service-oriented culture and advocating for pro-poor health policies to improve the heath access of all individual. To achieve the new status of LMC by 2028 new systems were identified and developed unanimously. LMC is developed as one of the worldwide trusted and reputed medical institution with the wide range of research findings, reliable and trustworthy treatments. According to Peter Drucker, in 21st century, the task of leadership is to create an alignment of strengths so that weakness is irrelevant. Now onwards, the LMC leadership should create alignment of the strengths of the different departments and escalate the strengths of the college. The new leadership should be informal, opt-in decision making, self-organization, networked governance, open source collaboration, crowd wisdom, open sharing, transparent, “do it now” attitude, and participatory approach. 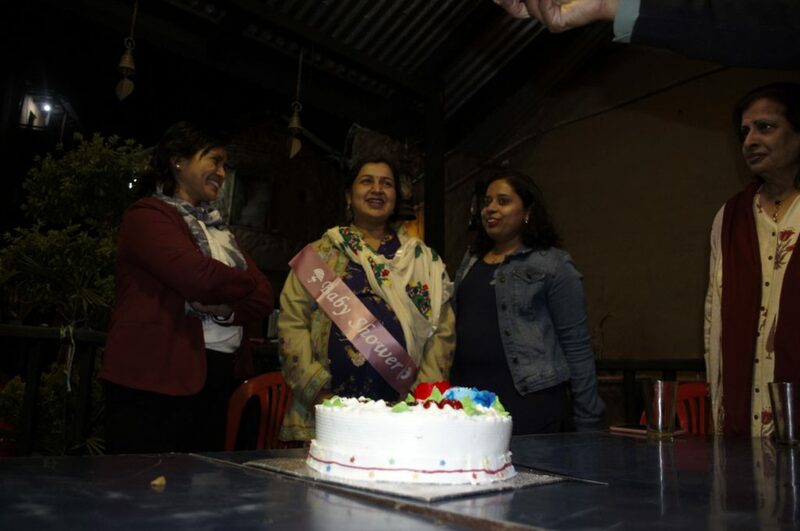 LMC creates formal and informal partnerships and ties with other organizations in Nepal and abroad in different filed of areas of mutual interest and benefits. 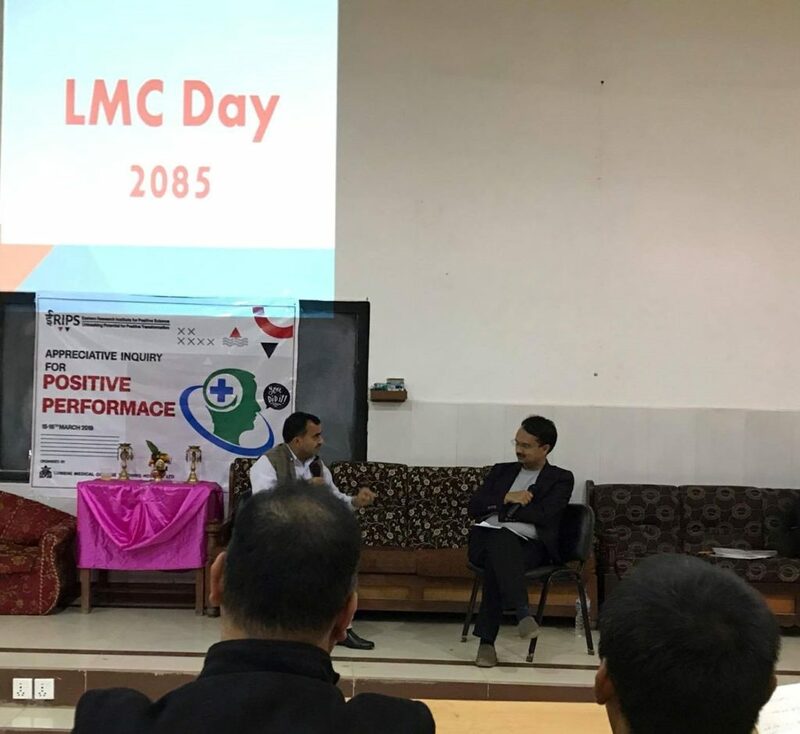 LMC as an organization; its’ culture is defined as the underlying positive beliefs, positive imaginative assumptions, inclusive and inspirational values and ways of interacting that contribute to the unique social and psychological environment of LMC. LMC generates wide range of resources to achieve the new goal of 2028 including human, materials, money and motivation including most updated and applicable technologies of medical science. LMC is a system that outlines how certain activities are directed in order to achieve the goal by 2028. 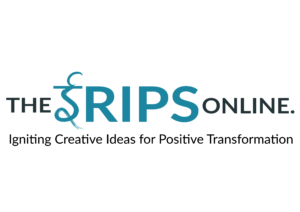 These activities can include rules, roles, responsibilities and accountabilities. LMC is efficient, flexible, innovative and caring in order to achieve a sustainable competitive advantage. LMC structure also determines decentralized structure and circular flows of the information within college that ensure the decision at various level. Monitoring and Evaluation is a process that helps improve performance and achieve the result of LMC. LMC develop the monitoring and evaluation system for all department and implement the performance management system. 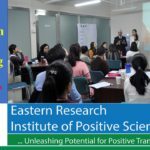 The two days training on “Appreciative Inquiry for Positive Performance” has opened new avenues of thinking and action for all staff members. All the staff members had chance to review their past and discovered the strengths, positive cores and learnings.  This has made confidence, self-respected, motivated, innovative and creatives to all staff members. During the dream exercise, the imaginative power of staff also unleashed in this training. Such positive atmosphere inside the college generated creative power to envision new destination of college by 2028. The newly envisioned destination of college by 2028 has created the positive energy and changed the mindset of the entire staff members. 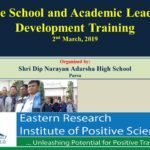 The dream process could able to create the shared vision for 2028 and all participants of the training felt ownership of the dream and expressed their commitment to achieve the dream by the stipulated time. Based on the newly shared dream a new system and actions were identified and developed. Appreciative Inquiry for patient care and hospital management for hospital staff. 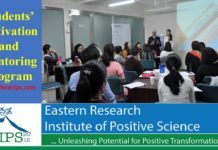 Positive Motivation and Mentoring Training for staff members, faculty members and students.